'Not since Melina Marchetta's Looking for Alibrandi has an Australian author presented the cross-cultural challenges of new Australians quite so beautifully. Beautiful Messy Love is my pick for 2017 book of the year' AusRom Today When football star Nick Harding hobbles into the Black Salt Cafe the morning after the night before, he is served by Anna, a waitress with haunted-looking eyes and no interest in footballers, famous or otherwise. Nick is instantly drawn to this exotic, intelligent girl. But a relationship between them risks shame for her conservative refugee family and backlash for Nick that could ruin his career. Meanwhile, Nick's sister, Lily, is struggling to finish her medical degree. When she meets Toby, it seems that for the first time she is following her heart, not the expectations of others. Yet what starts out as a passionate affair with a man still grieving after his wife's death slips quickly into dangerous dependency. 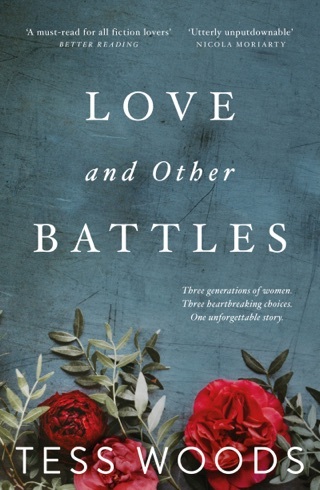 Scarred by tragedy each in their own way, these warm, hopeful couples must overcome prejudice and heartbreak to prove just how much they will give for beautiful messy love. A gorgeous, hard-hitting novel that touches on celebrity, asylum, cultural integration and family tragedy, this is a book with heart and soul. A very modern tale about young love. Tess Woods was born to write this story and she’s nailed it: beautifully, sensitively, and as she did with her debut, courageously. 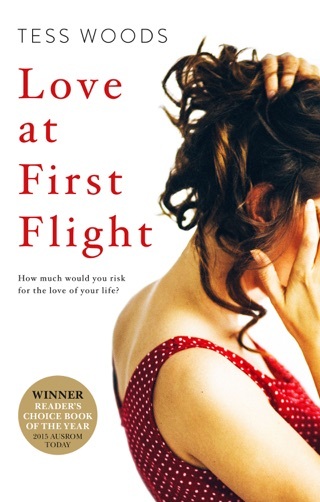 It’s fitting that her first novel was called Love at First Flight, because for me it was. I fell in love with her storytelling then and there is no doubt she will continue to soar because she’s followed up with this— a contemporary tale about four characters and their complicated and interconnected lives. 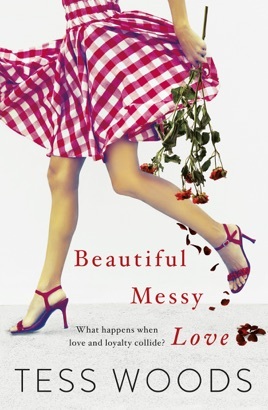 Beautiful Messy Love is the perfect title and in only two novels Tess has positioned herself as: ‘the voice in Australian literature that is unafraid’. Distinctly and honestly Australian (and as a modern, multicultural society should be portrayed more often) I believe Tess is leading the way in a new genre I’m calling: Stories That Need To Be Told.